The Maze procedure, also sometimes called the Cox-Maze procedure, is a surgical treatment for atrial fibrillation (AF). AF is the most common irregular heart rhythm in the United States, and it originates in the atria, or the heart's upper chambers. 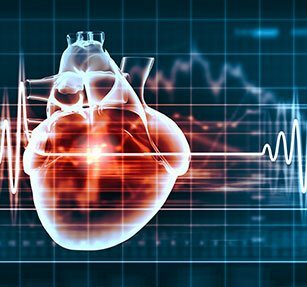 With AF, a risk factor for stroke, the electrical signal that normally causes the heart’s atria to contract in an orderly fashion circles through the heart muscles in an uncoordinated manner, causing the heart to quiver rapidly. To perform the surgery, the surgeons deflates the right lung to gain access to the heart and the patient breathes through the left lung and a ventilator. Once three small incisions are made in the right side of the chest, a video camera and small instruments are inserted. Through catheters (small, thin tubes), radiofrequency energy is applied in the atria muscle in an intricate "maze" pattern, and scars form when these areas heal. Because scars do not carry electrical signals, they interrupt the conduction of abnormal impulses and allow the heart to return to a regular, coordinated beat. This procedure has an overall success rate of approximately 90 percent - and post-procedure freedom from stroke has been estimated at 99 percent. It reduces the risk of stroke and blood clots as well as symptoms such as fainting.